A Restorative Yoga class is known as an antidote to stress, improving circulation and digestion. It quiets the parasympathetic nervous system and brings us to an easy state of body, mind and heart. It is an invitation to come home to yourself. 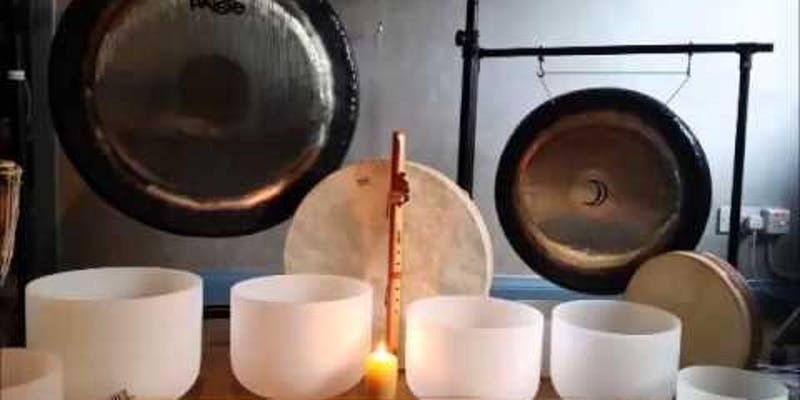 Patricia will be joined by musician and sound healer Celine Daly, who will add the sacred sounds of her crystal bowls, chimes, gong and flute. A unique and healing experience not to be missed! Exchange: $25 cash/check/credit card at the door. Celine Daly is a sound weaver and accomplished Native American-style flute player based in Dobbs Ferry, NY. She has studied sound healing at The Center of Light, Biosonics, New York Open Center, Sage Academy of Sound Energy, and the Sound Healing Academy. Celine is also trained as a yoga teacher and is a long-time meditator. She has studied Craniosacral Therapy and is certified in Medical Acupuncture. She plays flute and other traditional instruments in the Heartwood band. Patricia Castimore came to yoga in 2000. Her certifications include: 200 and 500 hr. certifications in Journey Into Yoga with Brahmani Liebman and Jashoda Edmunds, staff teacher trainers at Kripalu Yin/Yang Yoga Teacher Training at Kripalu; Advanced Interdisciplinary Yoga Teacher Training at N osara Yoga Institute with Don and Amba Stapleton; and a Reiki Master Degree in the Usui System of Reiki with Brahmani Liebman. "Yoga has become a very rich practice. It continues to teach and lead me deeper in all aspects of my life."